Well – the scientists are way behind the rest of the human race; people have been marinating meat, that was cooked over and open fire or on coals, in natural antioxidants for centuries, but it’s nice to feel reassured, so thank you scientists. 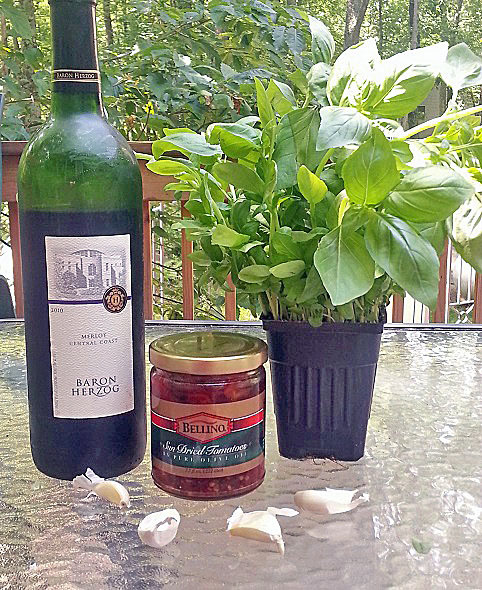 In my family – herbal marinades are a staple. 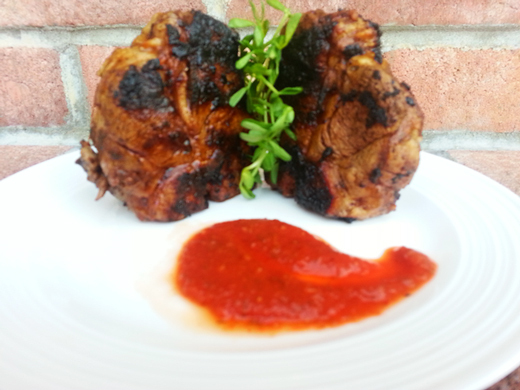 Each week I will share a marinade I use for our weekend summer grill fests. 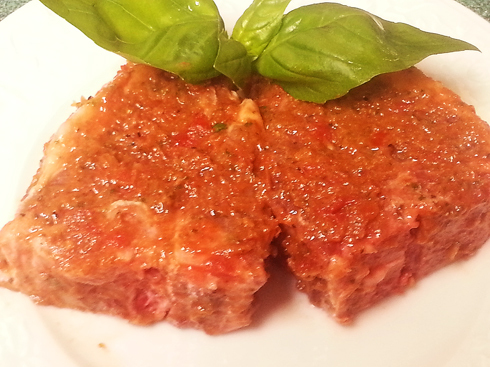 Today it’s the Sundried Tomato and Basil Marinade. The beauty of this marinade is that you can whip it up in a blender in 5 seconds, you don’t have to cook, cut and prep a thing(except picking leaves off of herbs), it’s finger licking good, and it’s full of antioxidants, restevarol and lycopene. Score! This easy peasy, very flavorful marinade goes great with lamb or steak. I like to use it for lamb loin chops. The chops themselves are my favorite cut of lamb and I find the most flavorful. 2/3 cup packed basil leaves. You can substitute basil for rosemary, thyme and oregano. 1. Combine all the ingredients in the blender and puree until smooth. You can use it right away, or add it into a clean jar with a lid and refrigerate.